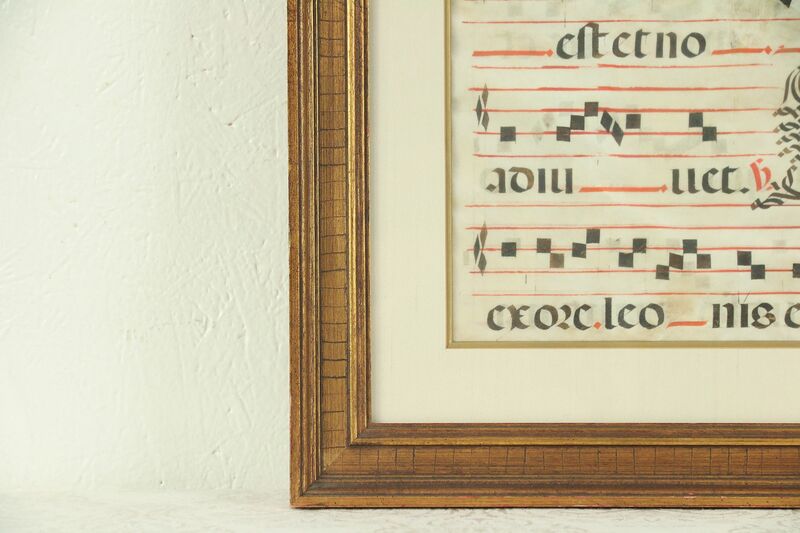 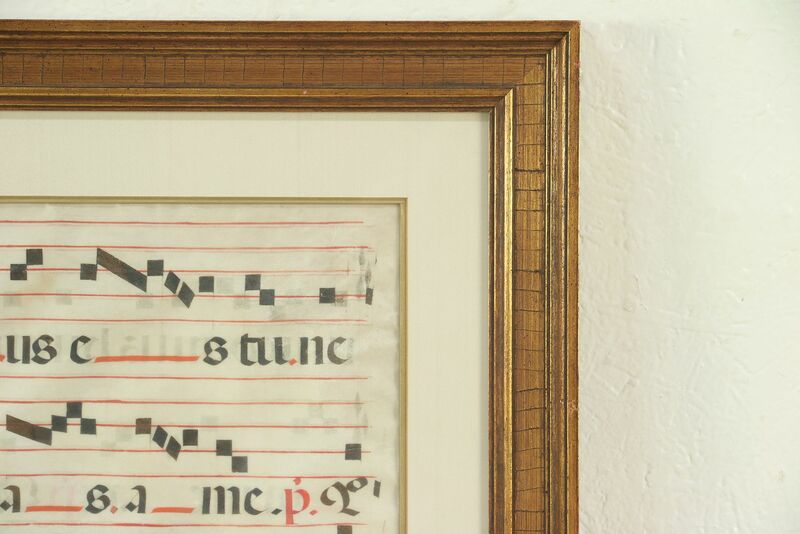 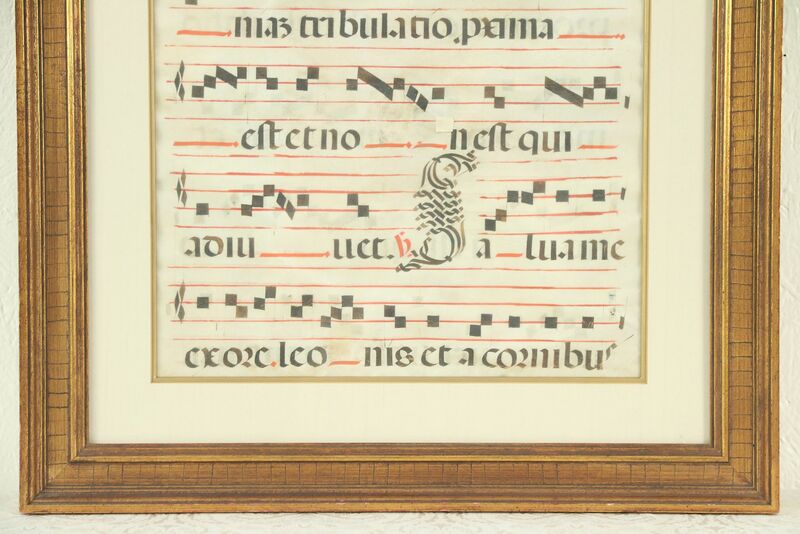 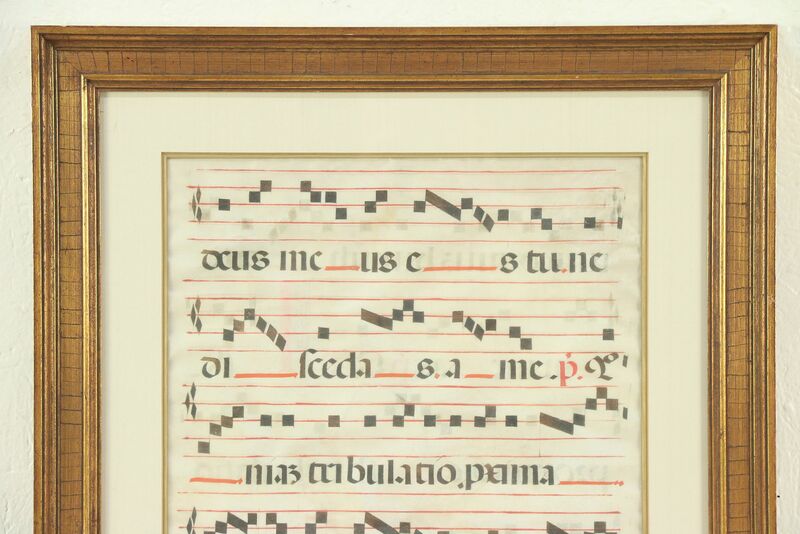 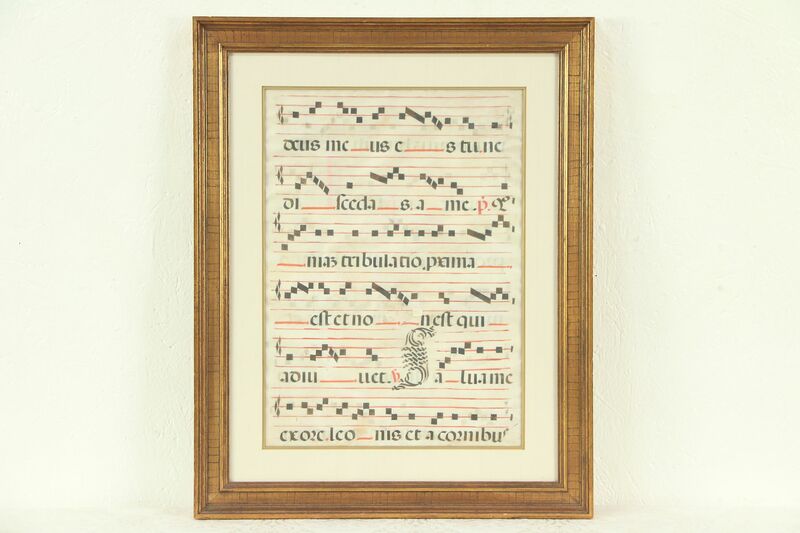 An authentic musical manuscript from the 1600's was hand painted on genuine natural vellum. 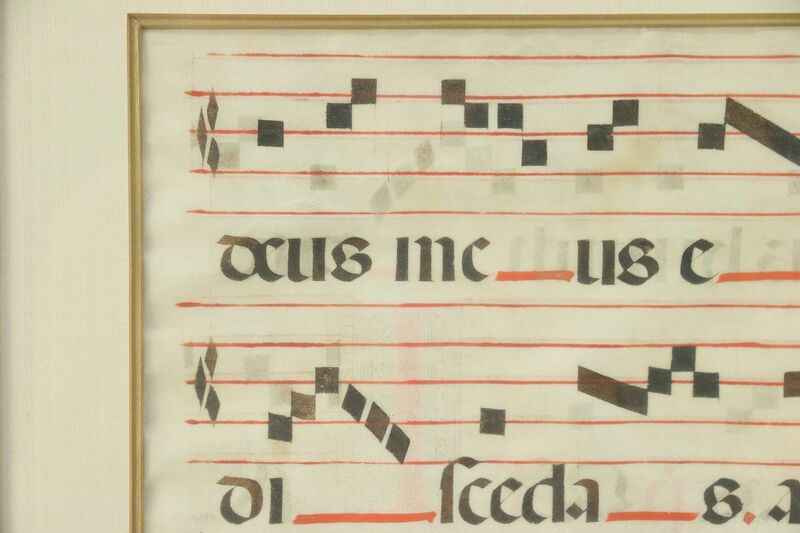 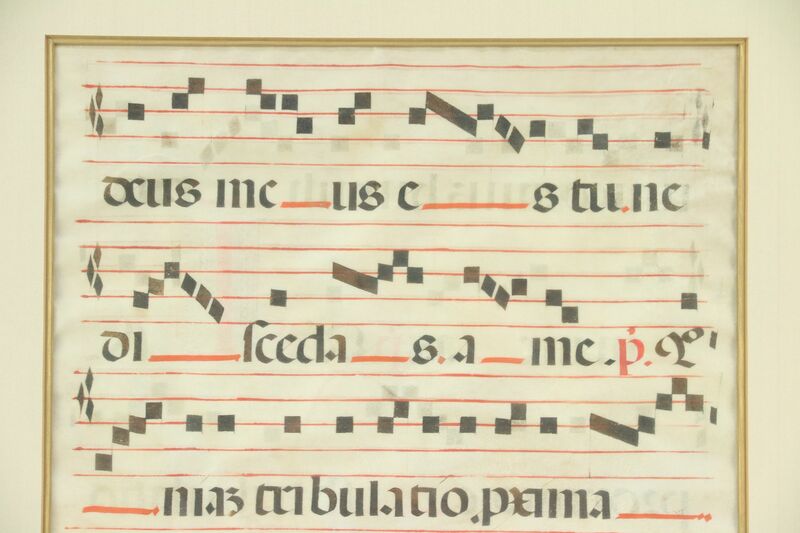 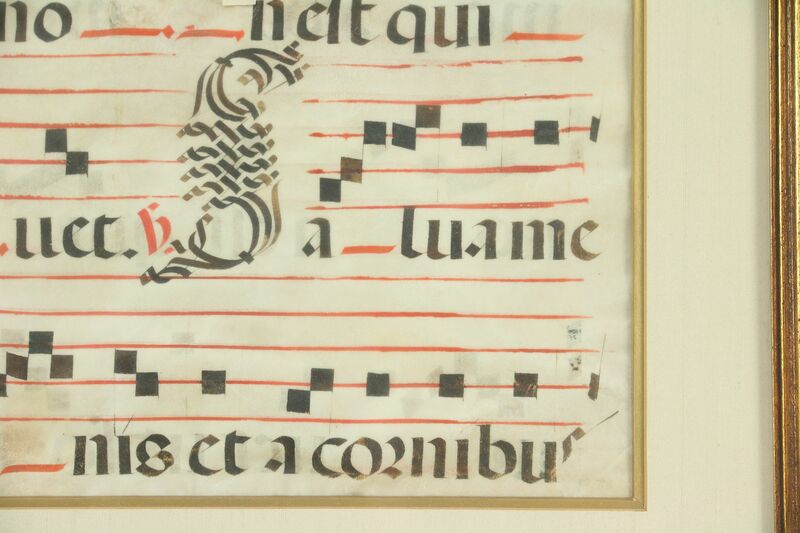 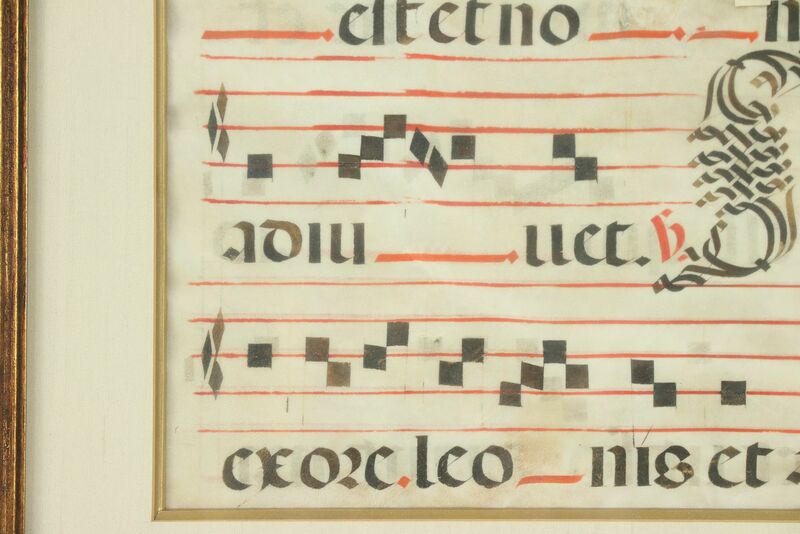 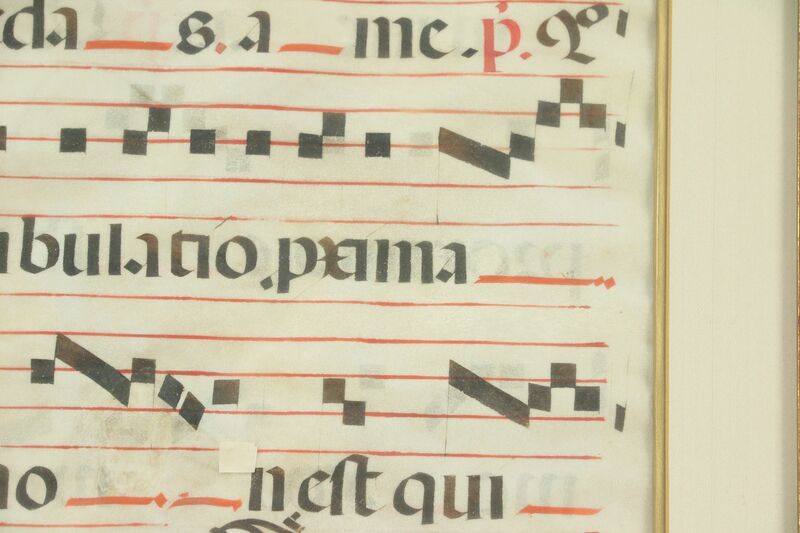 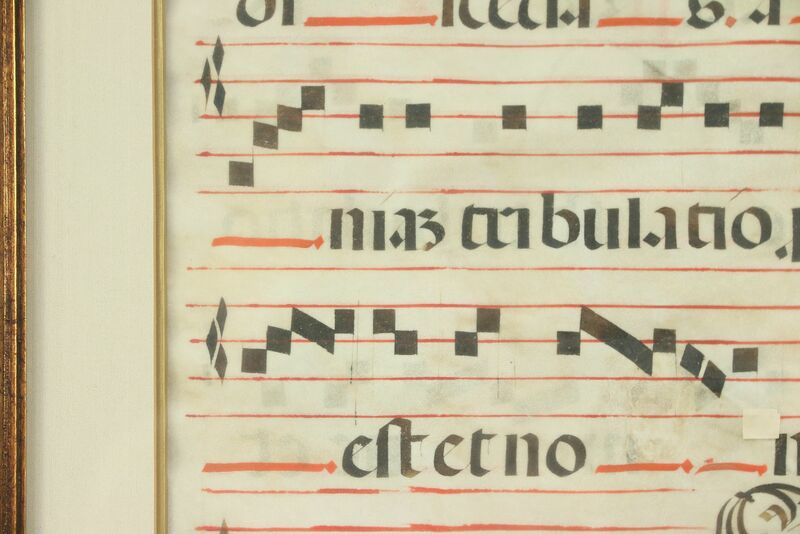 Delicate notation and Latin words are accented with hand painting. 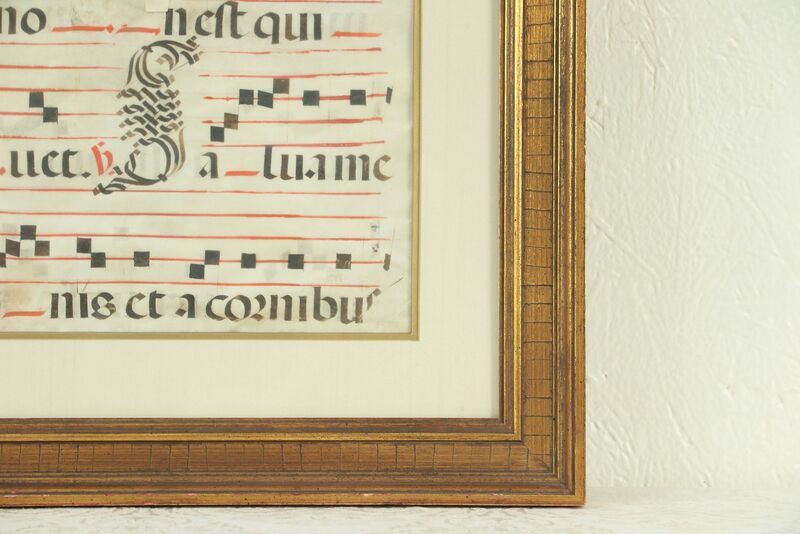 Colors remain vivid on this European antique work of art. 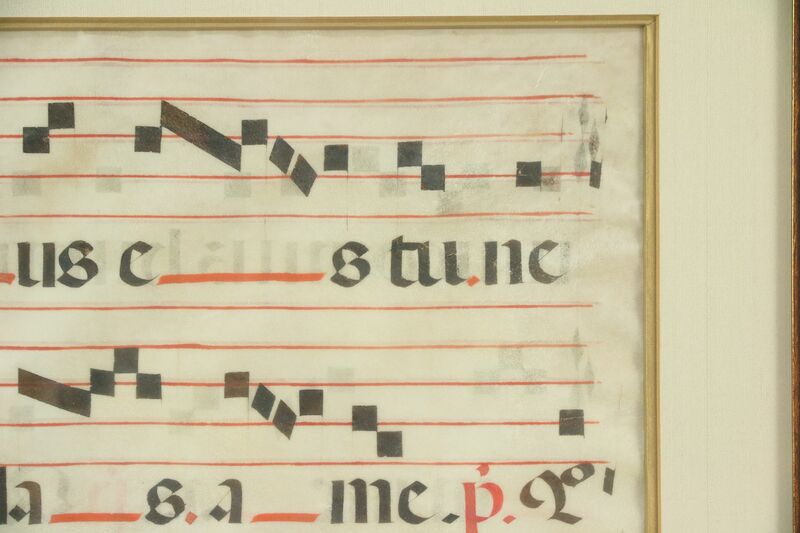 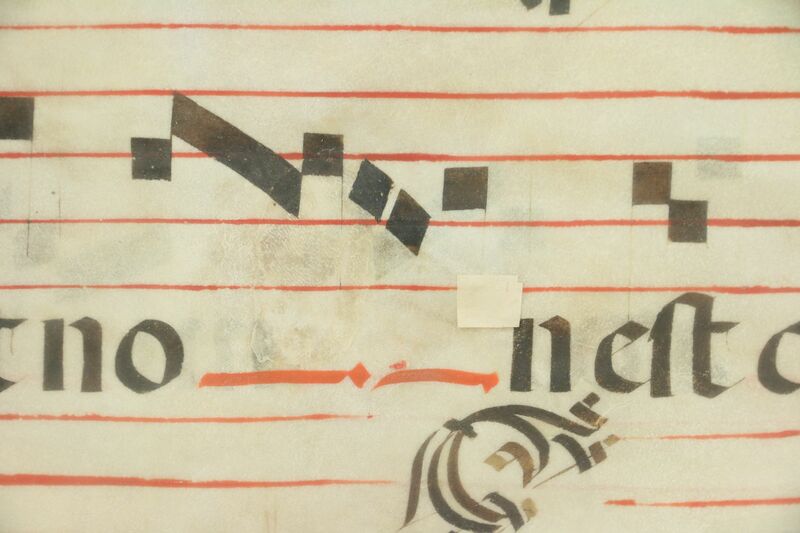 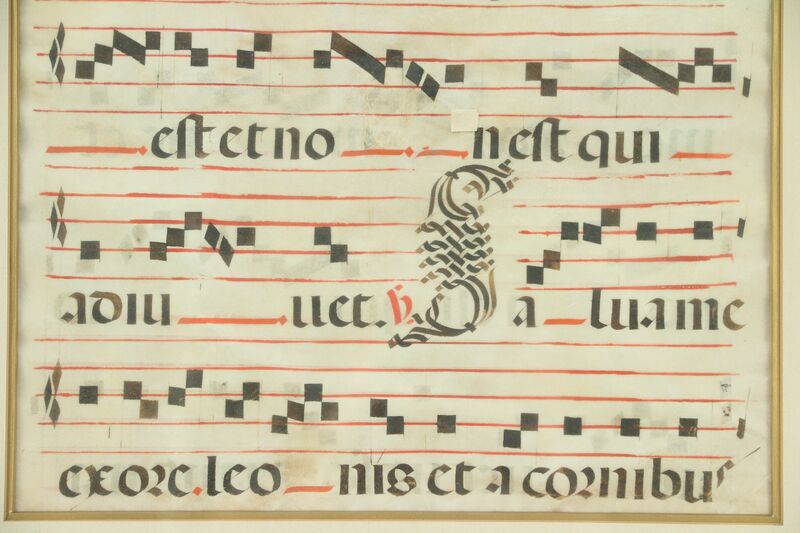 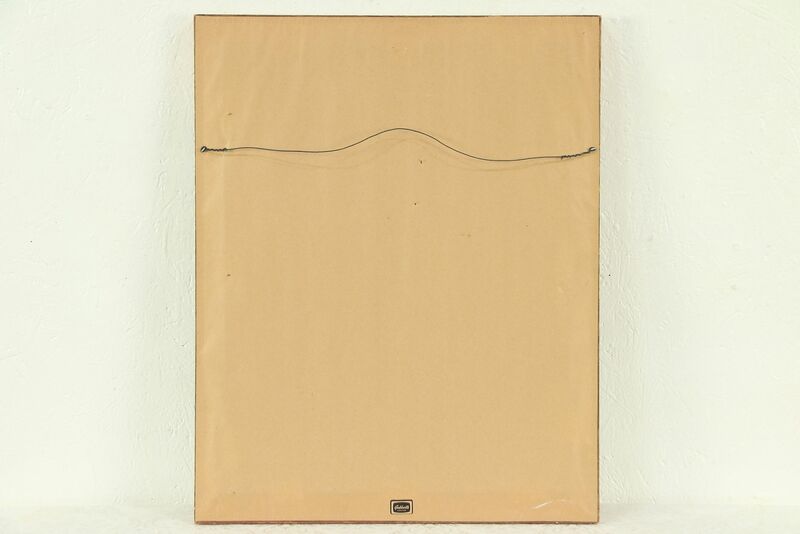 There is painting as well on the back side, visible through the vellum as shown. 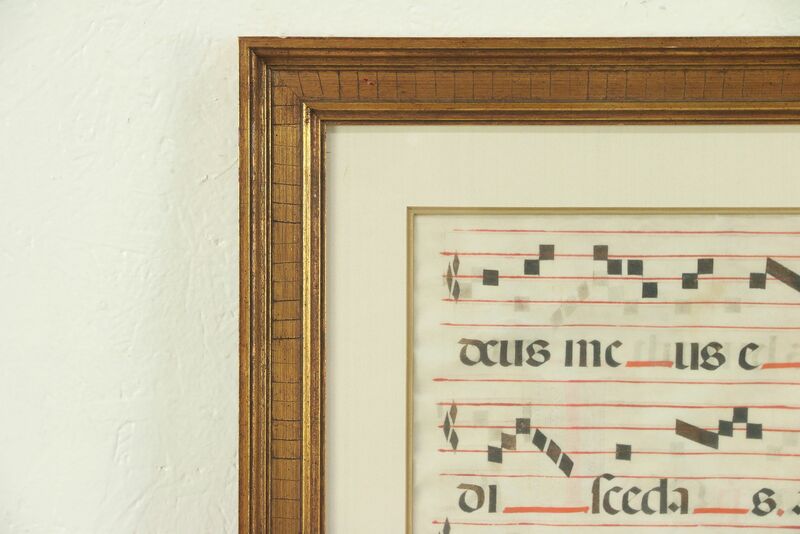 The burnished dark gold frame, mat and glass are modern. 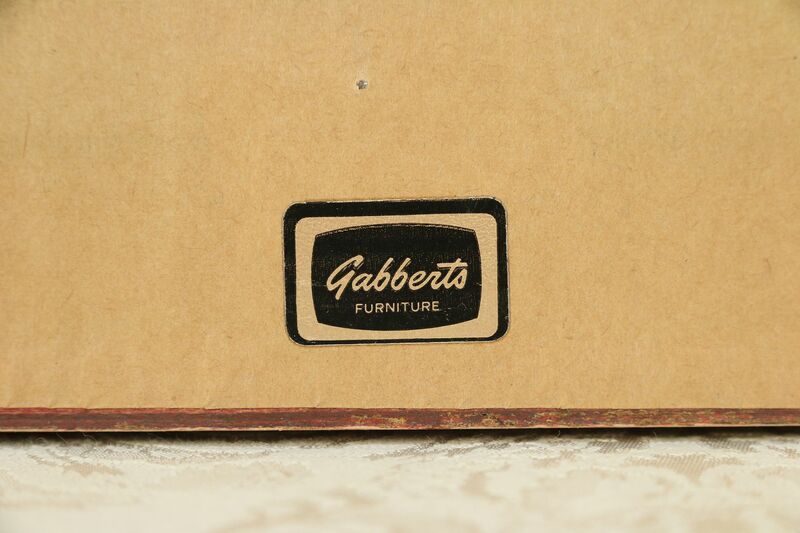 Overall size is 20" wide, 25" tall and 1 1/2" deep.